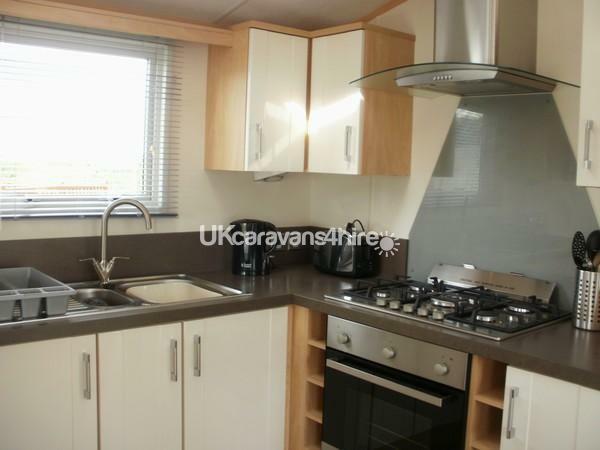 £100 none refundable deposit by Bank Transfer/Cheque to secure booking. Balance to be paid latest month before start date high season. 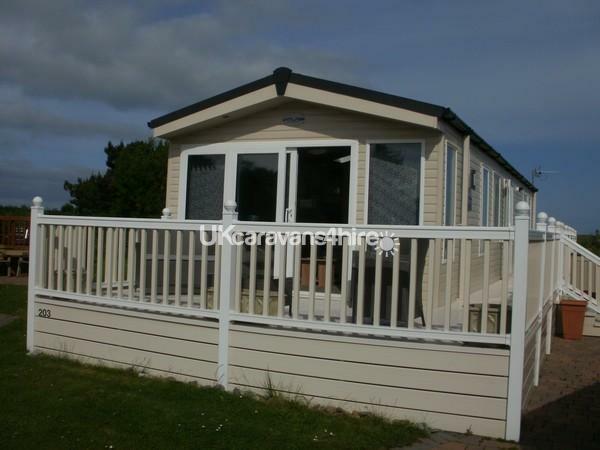 A modern & spacious caravan, gas & electric included. 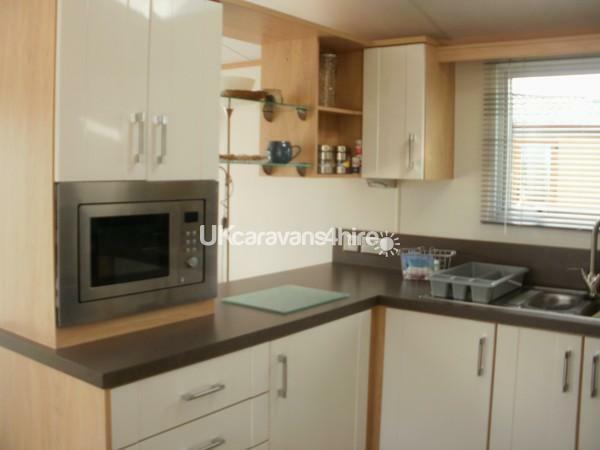 Fully equipped kitchen pans, crockery & cutlery. 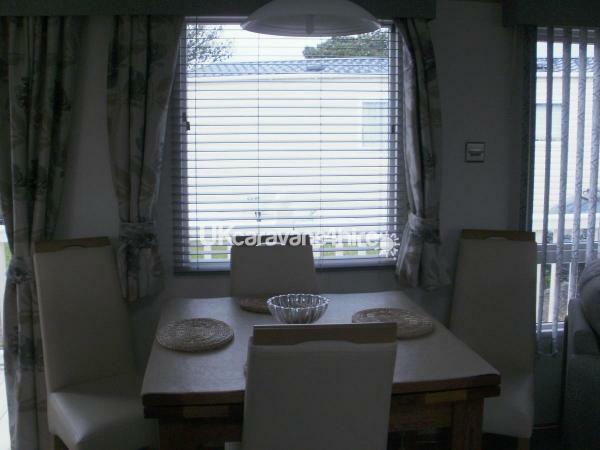 Dining table & four chairs. 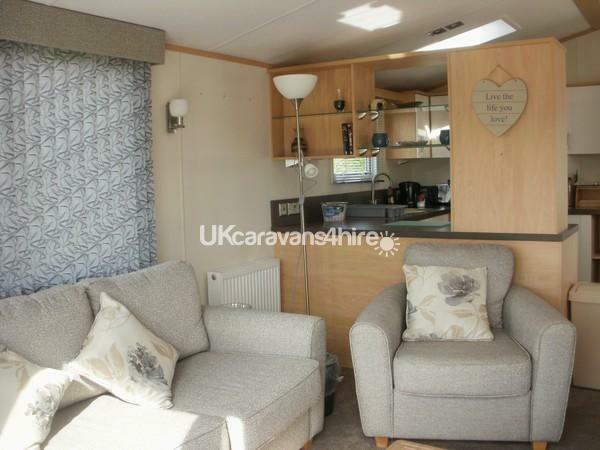 Living room with three seater settee & two chairs, TV with DVD player. Electric fire. Perimeter position. 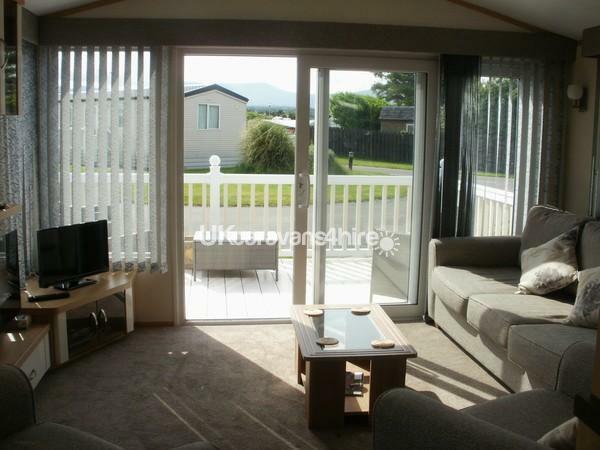 Patio door onto secure decking around three sides, views over farmland & to mountains. Rattan patio settee, two chairs & coffee table Garden storage bench. 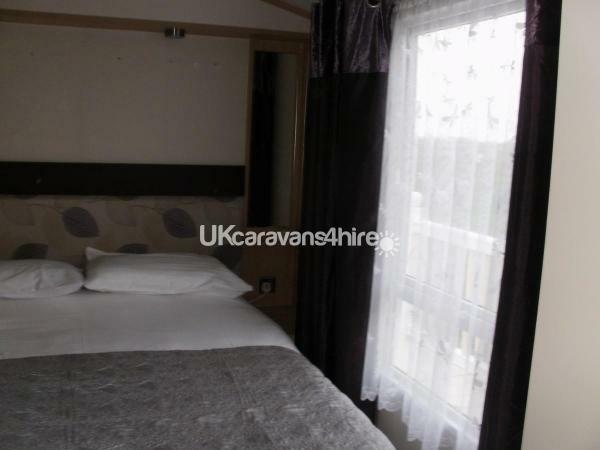 Main bedroom, king size bed, en suite with bath. Large wardrobe, draw ∪board space. Duvets, pillows & linen provided. Hairdryer. 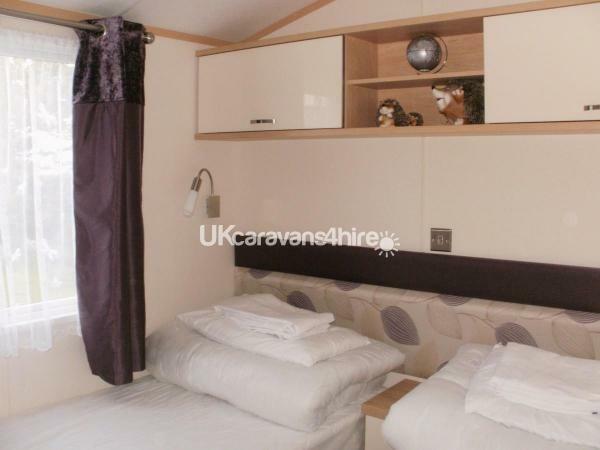 Twin room, 3ft wide beds, wardrobe & draws. Duvets, pillows & linen provided. Door to main toilet which can be locked. Main toilet with shower. Paved parking area to side. Also grassed area. Table with umbrella & four chairs. Cot & High Chair available, please request when booking. Ten minutes stroll to sandy blue flag beach with dog free & dog friendly areas, cafe's, shops & take away food. 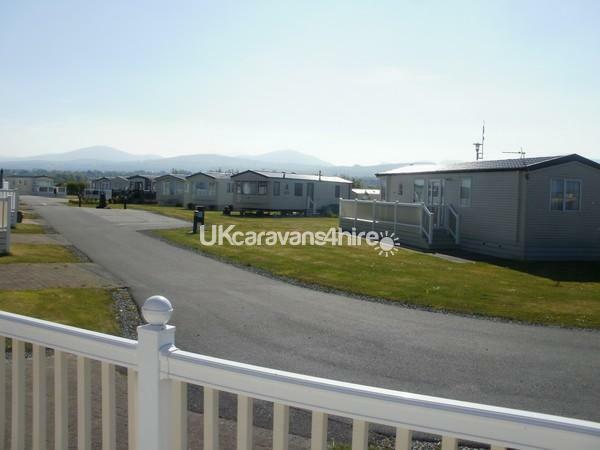 Easy driving distance to Snowdonia, Welsh Highland Railway, Caernarfon, Anglesey, Llyn Peninsular, Cycle Path's & many more attractions to suit all ages & interests. Dogs welcome, max 2, £20 each per week or part of. My dog and I are just back from a lovely holiday here. Sandra met us and took us to the van which is better than the photos. So comfortable and so quiet despite some high winds one night! With the verandah around 3 sides the dog had a whale of the time so if he's happy and settled then so am I. We hope to be back next year. Thank you Sandra. 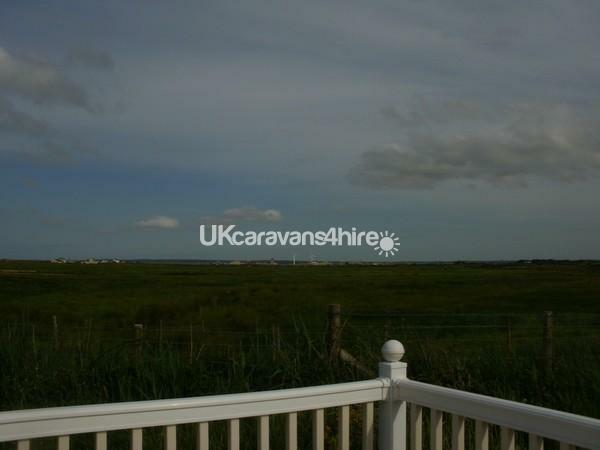 A beautiful caravan with lovely views. Spotlessly clean and well equipped. Very modern furnishings. Looked like a showroom caravan. Look forward to returning. Thank you Sandra.